Ty Dilello's first book, Hockey Hotbeds ,is a collection of stories on thirty hockey cities/towns around the world. Boston, Massachusetts, Gothenburg, Sweden, Prince Albert, Saskatchewan and Zurich, Switzerland are among the thirty hotbeds featured. Each feature includes exclusive interviews with many of the games top players from the past, present and future. Dilello takes us around the hockey world in a wonderful e-book read. Dilello opens in Boston with some personal memories of the Bruins and the old Garden, as well as some hockey playing memories. He then goes on to some of hockey's most famous cities - Montreal, Ottawa, Minneapolis, Helskinki - and not so famous - Ust-Kamengorsk, Jyvaskyla, Weston, Herning. Along the way he introduces us to local legends past and present. He interviewed the likes of Johnny Bower, Cesare Maniago, Mike Liut, Andy Bathgate, Thomas Steen, Peter Bondra, and Nik Antropov. Dilello, who writes for the International Ice Hockey Federation, has an easy-to-enjoy writing style and is well researched. It is an interesting premise as he takes us on a journey around the world. Literally. 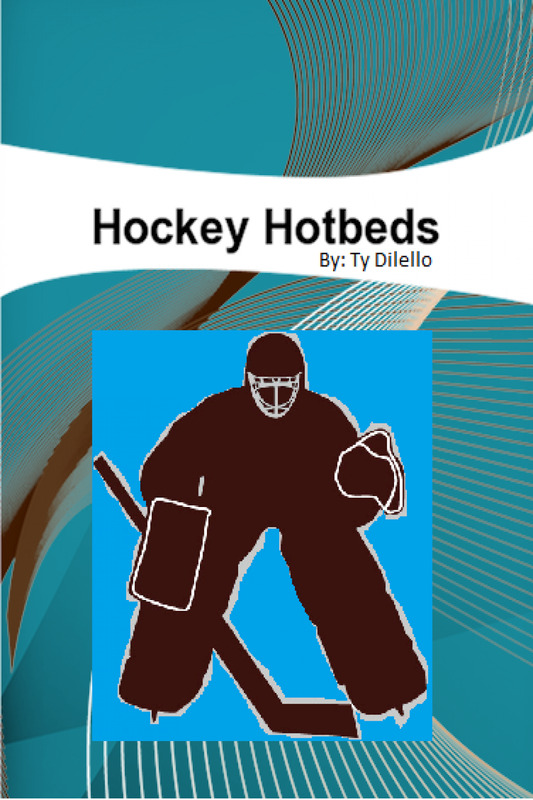 Check out Ty Dilello's Hockey Hotbeds on Smashwords today. LOVED THE BOOK. KEEP ON WRITING !!! LOVED YOUR BOOK. KEEP ON WRITING !!!!! !